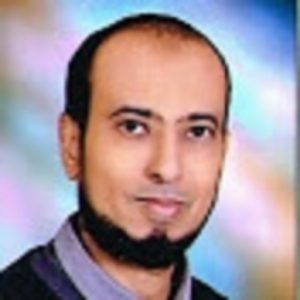 Dr. Osama Ahmed Bahudila is the founder and developer of two great mysteries on the top and the Encyclopedia of Happiness. He lives and continues to write nonstop in Aden / Yemen, with his wife and children Nuran, Abu Bakr, Alaa, Lina and Abdul Rahman. His latest works include Poliomulla, Encyclopedia Greats on the top and 216 Secret Happiness. He is a graduate of the Department of Internal Medicine. He has a series of online educational videos known for their ability to explain complex subjects in a simple and easy way. "He loves medicine and writes terrible books for you because you are the best fan in the world, you can email me at osamabahudila@gmail.com. He likes to tell him about your favorite books and he reads all your reviews in Amazon and on Facebook. He participated in the Sheikh Zayed Book Award (11th Session, 2016-2017) and (Thirteenth Session 2018-2019), the Kindle Story Teller Award for 2017, the Arab Hope makers 2017 and 2018 Program in the United Arab Emirates and the 2017 Abu Dhabi Award And the WISE Global Innovation Competition in Qatar And has written 19 titles in English, Arabic French and the German for publishers in less than three years. The last book is called Encyclopedia greats on the top .He also invented a new game called Encyclopedia of Happiness letters. "He writes terrible books for you because you are the best fan in the world. I am now working on my 3rd edition of my book Encyclopedia of happiness which will be more fantastic and perfect . write ,write ,write and read more to activate your mind. before you publish your book you need to start marketing to that book . the future will be better. What genres do you write? : science, novel,medicine,business….est.